Golf Outing: October 9 – Register Online! Please Join Us at our 2017 Party Dress Sale! 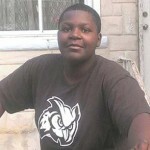 ...assisted Wil’s family with medical and household expenses. ...made it possible for Cody to enroll in writing and painting classes. ...assisted with a vertical lift outside Victor's home, and a Hoyer lift to get Victor out of bed safely. ...donated Paul's van to the family, and assisted with outstanding medical bills. 2014 Newsletter – stories, events & thank you! The call came in from the Brain Injury Alliance of New Jersey. The case worker described a “favorite” family she had been working with for two years and was searching for help. She described what happened to their eldest child, 17 year old Jason, who was diagnosed with Acute Lymphoblastic Leukemia. After several months of receiving intense chemotherapy treatments, Jason suffered a stroke from the toxicity of the drugs. The stroke caused brain damage. These tragic events left Jason hospitalized for months and his family sinking lower and lower into an emotional and financial tailspin. His mother could no longer work, as her days were spent caring for him and his siblings. The loss of income was devastating. Jason’s father works hard but his income barely covers the basic bills. On top of the limited finances, Jason’s parents faced the hard reality that their son would not live the life they had hoped for him. The family’s needs were numerous; they had fallen behind in their rent and faced eviction, food was limited. Some days they could barely pay for the parking at Jason’s therapy appointments. The Paul Jackson Fund answered their plea for help; paying the overdue rent and assisting with household expenses. The Fund also partnered with the Union County Rugby Association which held a food drive on their behalf. The food was delivered to Jason’s family and they started to feel some relief. In addition, many local PJF supporters responded to our request for clothing and bedding for Jason and his siblings, who were delighted and deeply grateful. Jason is back at school, in a special needs program, half days – and loves it! Three afternoons a week are spent at physi-cal, occupational and speech therapy appointments. Sadly, Jason suffers from chronic pain and was diagnosed with Avascular Necrosis, which is the death of bone tissue due to lack of blood supply. This condition is the result of long term steroid and cancer treatments. Jason will soon have a second surgery to try and correct the condition. The Family is still struggling and one of their greatest needs is for a car. If you know of someone who would like to do-nate a car or minivan to Jason’s family – please get in touch with us. They would be so very grateful. Nicole is a kind, 70 year old woman who has suffered with polio since she was six years old. She lives with her 90 year old mother. Nicole has been confined to a wheelchair since she was a child and has only limited use of her hands, which is worsening with age and arthritis. Nicole is dependent on others for all her basic needs and activities of daily living. Recently, Nicole’s home care benefits were reduced from 80 to 50 hours per week. This reduction in benefits eliminated assistance at night. Nichole had to be put into bed in the early evening, staying there until later the next morning when the home health aide arrived. Using the bathroom was not an option because there was no one to assist her. 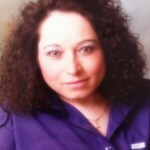 The Paul Jackson Fund responded to Nicole’s need and paid for a night home health aide. Jackson is a beautiful seven month old baby who has been diagnosed with Spinal Muscular Atrophy (SMA), a genetic neuromuscular disease characterized by muscle atrophy and weakness. SMA is the leading genetic cause of death in infants and toddlers. There is no known cure. 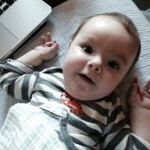 Jackson cannot move his arms or legs or hold his head up independently and his ability to swallow is deteriorating. What should be a time of great joy for his parents, is instead filled with intense worry and anxiety. Jackson’s family is holding on to hope as he was selected to participate in an out of state clinical trial. The Paul Jackson Fund stepped in to help defray some of the costs associated with Jackson’s medical care and travel ac-commodations. 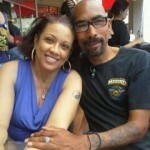 Gerard is a 51 year old man who is battling Stage IV metastatic cancer and a seizure dis-order. Due to unexpected medical bills, Gerard fell behind on his rent. Facing eviction, he called numerous organizations and agencies seeking help, but without success. A call to The Paul Jackson Fund helped ease his burdens. The Fund paid his overdue rent bill. Paul is a 51 year old married man with two teenage daughters who underwent chemotherapy and radiation simultaneously, for colon cancer. Paul now suffers from chemotherapy induced neuropathy. Disabled and unable to work, he struggles to keep afloat financially. Paul asked for help paying outstanding medical co-pays. The Paul Jackson Fund answered his call and paid the medical bills. Kim is a 56 year old married woman who suffered from a cerebral hemorrhage around the brain stem and a cerebral hematoma in the left hemisphere of the brain. Kim had been the primary wage earner, but cannot work now because of her surgeries and medical treatment. While this was oc-curring, her husband, Roland, was also hospitalized and diagnosed with multiple sclerosis. The Paul Jackson Fund became that lifeline for Kim and Roland. The Fund paid their overdue rent and assisted with household bills and living expenses. The Fund continues to deliver food from a local food pantry. Union County Rugby held a food drive. Tamaques school hosted a night with the Harlem Wizards. A local book group held a book and bake sale; Cub Scouts Den 3 Pack 673 assisted in collecting books and St. Helen’s donated space to host the event. Trinity Solar graciously donated and installed a home generator for a 9 year old girl with mitochondrial disease. The Bodmer family donated a car to one of our recipients. Holy Trinity donated space for our Party Dress Sale. Pam Newell opened her home to host a Paul Jackson Fund informational cocktail party. Especially Yours Florist in Kenilworth donated 20% of sales for all 8th grade dance and prom corsages. 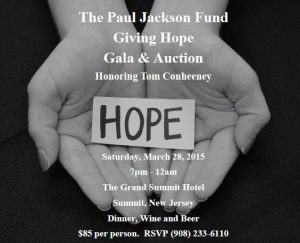 The Paul Jackson Fund held its second Giving Hope Gala & Auction on March 22nd at the Grand Summit Hotel. It was an evening of many laughs thanks to our honoree, Paul Har-baugh. We were also moved by our recipient speakers, Roland & Nicole. And thanks to the generosity of our guests, sponsors, gala committee and volunteers, the event raised $30,000. Children’s Specialized Hospital, Hydro Teck Ltd., Don Dazzo, Jay Biss, Elke Elliott, Liz Molonari, Sue Harmer, Joan O’Connor, Pam Newell, Anna Dauiro, Rekemeier’s Florist, Stahl Del Duca, McEwen Flowers, Meeker’s Florist, Chris-toffers Flowers, The Green Room and Flower Art by Design Contempo. The next Giving Hope Gala will be held on Saturday, March 28th, 2015 at The Grand Summit Hotel. 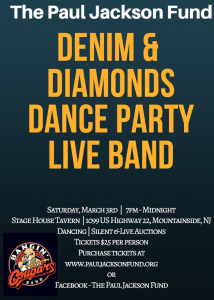 This year will feature an evening of dancing. On October 5, 2014, The Paul Jackson Fund held its fifth annual 5K/Walk/Kids Fun Run. The event was a great success. More than $16,000 was raised, thanks to our sponsors and participants. Many created online fundraising pages at FirstGiving.com. The top fundraisers were Daniel Han, Brian Tobin, Sue Chec-chio, Geri Jacob, Victoria Ronge and Eileen Jackson. Robert Wood Johnson University Hospital – Rahway, Investors Bank, Margaret & Peter Chang Foundation, Tiffany Natural Pharmacy, Northfield Bank, State Farm Insurance –Christine Cosenza, Applebee’s, The Shannon Rose Irish Pub, Bayada Home Health Care, AJ Jersey, Publick House, Shop Rite – Clark, Westfield Baseball League, Summit Medical Group, The Law Offices of Lisa M. Black, Snapple, ShopRite of Garwood, The Alternative Press, Starbucks, Hand & Stone – Massage and Facial Spa, MedExpress, True & Associates, Universal Builders Supply Inc., Sue Checchio – Coldwell Banker, The Greater Westfield Area Chamber of Commerce, and Don Dazzo. Lend your skills in computers, marketing, networking, grant writing, fundraising, etc. Check if your company has a matching gifts program, where you can double the impact of your do-nation. Join our Golf or Gala Committee. Host a cocktail party for your friends and coworkers to help raise awareness of The Fund. Invite your guests and we will come speak. Raise money through our online fundraising website: www.firstgiving.com. Participate in sports: Marathon, Triathlons, 5Ks. In lieu of birthday, anniversary or holiday gifts. Become a team captain for our 6th annual 5K/walk – team captains invite friends and family to ei-ther walk or run as a team and set a fundraising goal – www.firstgiving.com will help spread the word about your efforts. Like us on Facebook and follow us on Twitter – where we will announce our upcoming events such as our dress sale, holiday drive, book sale, and community service opportunities. Please consider making a donation through our annual appeal. You may donate online via PayPal or credit card. Your generosity enables us to continue helping families in dire need. 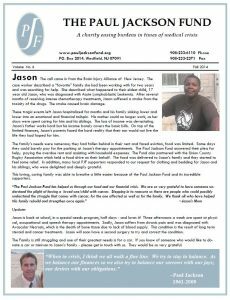 THE PAUL JACKSON FUND, INC. P.O. Box 2014, Westfield, New Jersey 07091-2014. Copyright © 2013. All Rights Reserved. Website donated by KJS Design & Technology.